Yealo – Our OfferUp Clone script! is a fully integrated buy and sell marketplace script for your used good’s buying and selling the business. Connect buyers and sellers instantly on our marketplace software inspired by buy and sell apps like OLX, LetGo, OfferUp, Wish Local, Shpock, Carousell. WHY CHOOSE YEALO AS YOUR BUY AND SELL MARKETPLACE SCRIPT? 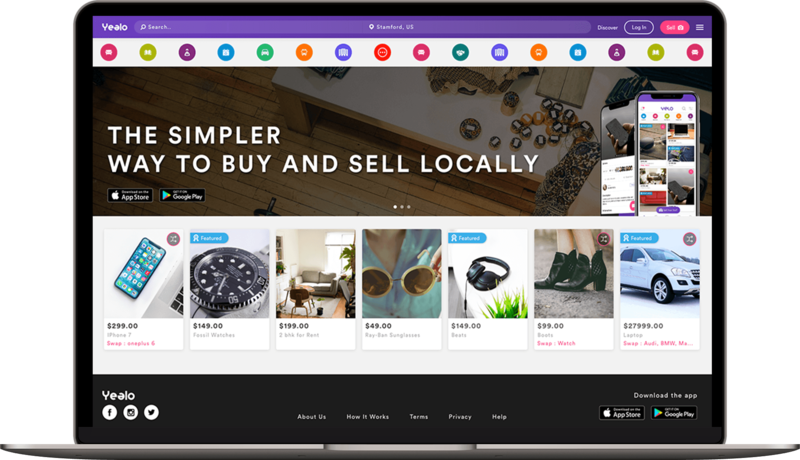 Yealo is a buy and sell marketplace script inspired by apps like Wish Local, Shpock, Carousell with many additional features of its own. Following are the reasons you must go for Yealo as your OfferUp clone script. Our OfferUp clone script is customizable to build a variety of buy and sell marketplace businesses. Whether it’s for general buy and sell service or a specialized products buy and sell app. We assure PCI compliance & tokenization so you will have no legal issues accepting in-app purchases on our OfferUp clone script. 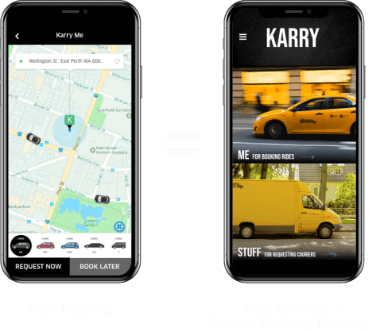 Using our proprietary Pre-Built IP solution, we move our white-label Yealo app from tailored development to deployment faster than any other buy and sell marketplace app developers out there. 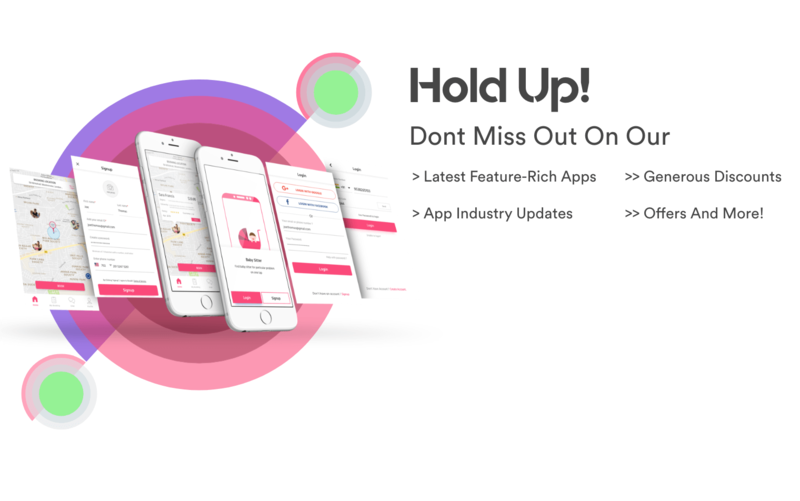 Using state of the art app container technology, clean coding practices, microservice architecture, while simultaneously promoting safety & security on the app – Yealo is the best buy and sell marketplace app & OfferUp clone script in the market today. You can now start your Uber for doctors app in German, Arabic, Chinese or any language of your choice. 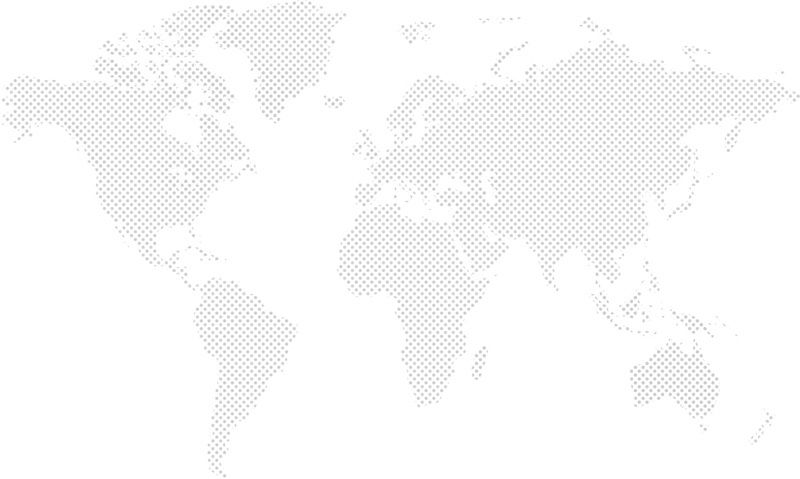 We ensure DruidX can be deployed in any language & currency preference. Increase your unique doctors on-demand app user base & overall retention via referrals, promotions & loyalty campaigns. Our buy and sell marketplace app is designed to ensure that every tailored OfferUp clone we make, sticks out in both search engines & app stores. Our OfferUp clone solutions are the only ones in the market to provide app monitoring services with chatbot integration. Ensuring you can get instantaneous performance updates on your tailored buy and sell marketplace solution. Our white label buy and sell marketplace script is not only robust & scalable but extremely secure as well. Keychain, SSL-powered API’s, JWT, reverse proxy setup etc ensure that security covers the entire app to each individual API. Yealo, our buy and sell marketplace script provides many features to make transaction process simpler for buyers. Our Wish Local/ Shpock/ Carousell/ OfferUp clone script offers multiple filters, option to swap or make counter offers etc. Users can easily login using social media account or sign up using phone number on our OfferUp clone script. Users can see a timeline of products for sale in our buy and sell marketplace script. Our buy and sell marketplace script allow buyers to connect to their FB friends or phone contact list to stay updated about the products they post. Users can scroll central newsfeed to watch the products sellers are putting up for sale. Our OfferUp clone script lets users like, share, review and comment on these posts. On our buy and sell marketplace script, users can customize their newsfeed by applying filters. Our OfferUp clone enables lightning fast search results when users look for the product or the seller they are interested in. Buyers have option to get the product either using good old barter system or by making a counter offer of that product. Buyers can contact sellers via chat and offer them counter price or a product swapping deals on chat feature in Yealo, our OfferUp clone script. Notifications of people liking the profiles that you follow, if your friend shares something with you etc. Users will get popup notifications. Buyers can report users or items based on their experience in our buy and sell marketplace script. Our Uber for Doctors application is all about providing an Uber-like efficiency when it comes to booking healthcare services on demand. Users are equipped with features to easily track, communicate and share information pertaining to their booked healthcare service. Manage user details, and products - Favorites, Currently Selling and Sold. Our buy and sell marketplace script comes with support to integrate PayPal. Post new products with multiple images and product details on Yealo, our buy and sell marketplace scripts. Add hashtags for easy product search. Choose from the available paid plans on our OfferUp Clone script and increase visibility & clicks on your posts. Analyze product views, clicks, wishlists, reviews and offers for various demographics in realtime. Review the users you were involved with for transaction on our buy and sell marketplace script. Our Wish Local / Shpock / Carousell / OfferUp clone script also provides a fully responsive website solution, users can buy and sell products via our website. Manage user profiles on the OfferUp clone script. Setup and manage categories and subcategories for the advertisements that are used while posting on the OfferUp clone script. View and manage posts, keep track of all offers made for each product and who the final buyer was on our buy and sell marketplace script. Panel with all settings, everything on the app can be managed from this section of our buy and sell marketplace script. View and manage reported users on Yealo, our OfferUp clone script. Keep track of the number of clicks on different posts and user metrics on our OfferUp clone script. Message customers directly using push notifications. Run targeted marketing campaigns directly from the CMS. View the analytics for each campaign to measure their success. Manage the content directly from the CMS of different static pages. Manage the SEO for different static pages from here. Setup different plans for buying promotion packages. Manage the payments received on the app with paypal. Please note that the use of the terms "Offerup Clone", “Letgo Clone” & “Olx Clone” is for marketing purpose only. This is how the web & app development industry refers to building a(n) marketplace app/website similar to OfferUp, Letgo, Olx or another site. Appscrip ensures that the entire design and code is built by our own team of designers and developers. No code, design or graphics has been or will be used from the official OfferUp/Letgo/Olx app/website. Appscrip custom-made solution enables owners to run an app/website similar to OfferUp/Letgo/Olx based on our standard structure and technology blueprint, however we are not an exact copy of OfferUp/Letgo/Olx as we provide our unique features & modifications to our solutions. Learn more on what is app/website cloning.